Every year, more medical students are choosing to delay their graduation date to pursue a dedicated research year (1). The percentage of medical students pursuing non-degree research years has more than doubled in the last 15 years (1). In 2009, a study showed 19% of medical students graduate in five years or more, a record percentage at the time. Since then, this percentage has been estimated to grow (1). 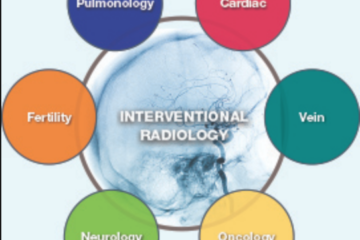 I am one of those students who chose to do a year of research in interventional radiology. While the merits of dedicated research time during medical school is debated (1,2), I would personally encourage medical students to consider a research year. A well-planned research year can offer many advantages. The number one reason why medical students undertake a research year is to bolster their residency application (1). In competitive fields such as dermatology or orthopedics, some view a research year as a necessity. Significant research can potentially help to overcome deficiencies that exist elsewhere in the application, such as grades or board scores. A research year can demonstrate to residency program directors that an applicant is committed and passionate about their field. Furthermore, it allows the applicant to establish connections with faculty members at the institution where the research is being conducted. This generally makes for a stronger letter of recommendation from the research mentor which will strengthen your residency application. Additionally, I think even an academically stellar IR applicant should consider taking a research year. Independent research is especially important if one is considering a career in academic interventional radiology (2). Conducting a year of research develops an entirely different skill set that medical school may not foster. Among these skills are problem solving, reading and analyzing primary literature, writing for journals, collecting, analyzing and presenting data, and Socratic questioning. This year, I am learning all the different ways we can come up with clinical questions, and all the different means we can answer those questions. Will it be via the benchtop? An animal experiment? A retrospective review of data? For those interested in a career in academia, these are vital skills to have. Depending on the project, one may even get to develop procedural skills that IRs use on a daily basis! Ok Now I am Intrigued…How Do I Start Planning? Planning earlier always makes for a more successful year. I started planning the fall of my MS3 year. 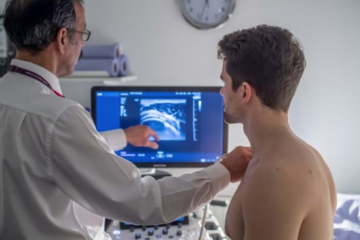 Students generally take a year after their third year, but some students may take a year off after their second year, just after their pre-clinical courses are completed. I personally think that conducting research after a year of clinical rotations was a good idea because I am able to better understand research questions in a clinical context. Decide the institution where you want to spend your research year and start emailing potential mentors. I chose to conduct research at my home institution because it was easier to meet with and plan with my mentors. Also, keep your eyes open for resources available at your institution for research. For example, my institution has a dedicated interventional radiology translational research and simulation lab, which I did not know about until I asked my mentors about resources they have at their disposal. Before meeting with mentors, find out what kind of research they are involved in and see if these match your interests. Think about which areas of IR interest you and what kind of project you want to be involved in, whether that is basic science, translational or clinical. What level of involvement will I have in my projects? What level of authorship can I expect? How many different projects can I be working on at a time? What is a good output for the year? How much guidance will I have and how available are you? Try to get a feel for your potential mentor’s personality and try to shadow them if you can. A mentor is someone who will shape you as an IR and academician. You want your mentor to be someone you want to emulate. As for finances, some institutions will have internal funding they can provide students. 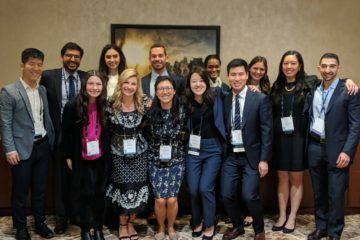 Consider applying for national programs that fund year-long medical student research such as Howard Hughes Medical Institute (HHMI) or Doris Duke. The Society of Interventional Radiology is a sponsor of HHMI, and generally funds one medical student a year to conduct research in IR. Keep in mind that these programs are competitive and absolutely require you to start planning early. Make sure to reach out to your school’s student affairs and financial aid department early so you know what required paperwork needs to be filled out and the process of delaying loan repayment if applicable. As for board exams, it is generally a good idea to get the Step exams out of the way before starting the research year, but this may vary based on how flexible or inflexible your start date is. I took Step 2 CK right before starting the research year, since that material was still fresh from the shelf exams I had been taking all year, but I have yet to take Step 2 CS. The general thought is that Step 2 CS can be taken at any time, before, during or after the research year. A mentor told me “publications are your currency for the research year.” Publications in preferably high impact factor journals are often the main avenues to showcase your work. Presentations at conferences are also valuable, so make sure to keep track of all possible conferences for abstract submission. Arguably, more important than your research output is your recommendation letter. Demonstrating you can think outside the box by coming up with your own ideas and projects if possible, along with a strong work ethic and actually completing all your projects all make for a good impression on your mentor. Communication is key! Try to attend weekly conferences at your institution in your area of research to keep everything in context while learning more about the topic. Most important of all, have fun! Research is a nice change of pace from studying and rotating on the wards. It is also nice to add to your skill set and have a little more free time to spend on hobbies, friends and family! Pathipati AS, Taleghani N. Research in Medical School: A Survey Evaluating Why Medical Students Take Research Years. Cureus. 2016;8:e741. Small AC, Levy LL. In Support of Medical Student Research. Academic Medicine. 2013;88:1592.